If you’re considering a two-story home, like the newly-introduced Castleberry, or a ranch-style home, like the number one seller of 2016 – The Bettendorf, you’ll have many design choices ahead of you! One choice in particular that can easily add some character to your home is the detail selections you make for your staircase. 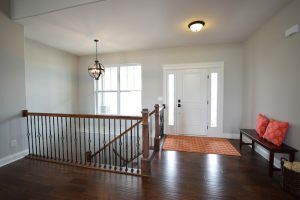 When you first see a staircase, chances are your eyes follow it up (or down), and this pivotal home element is as much of a visual connection to the floors of the home as it is a physical one. An often overlooked design element, but essential for safety, there are many options other than the typical hand rail you usually see mounted to the wall. Painting the railing to match the other woodwork in your home, allows the staircase to pop against your wall color, while still blending in and not stealing the show from other key features of your home. 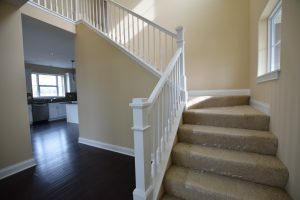 Other homeowners have chosen to stain the railing to work with the floor and contrast against the other design elements of their home. 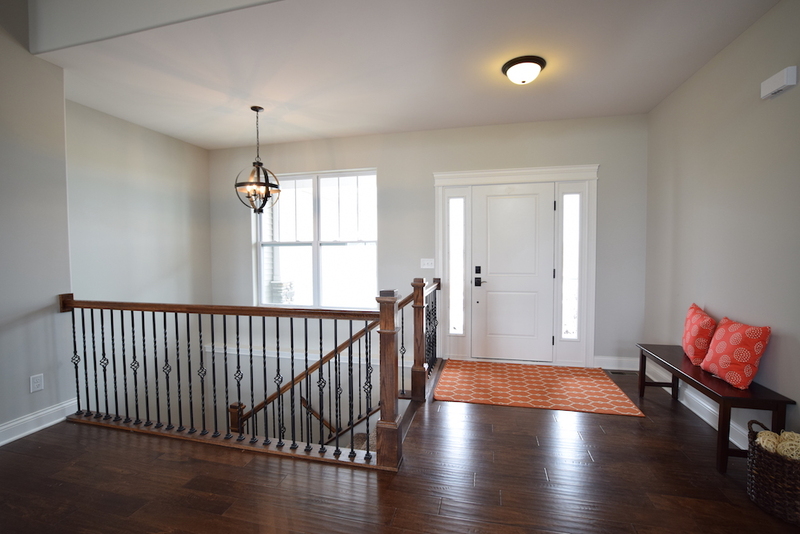 In addition to the railings, balusters are another way to add a bit of contrast and spice up the entryway of your home. Pair the painted or stained railing with an iron-rod baluster to add a bit of a contemporary touch or stick to the traditional balusters and match them with the color of the railings to pull the pieces together and keep other works in the home as the star of the show. Then, take a look at the available materials and see how they can be used together to create a classic or modern vibe. Once you’ve browsed through some of your options, move to the customer portal where you can see your other selections and compare those options with your favorite stair options. With many great designs and ideas to help showcase your personal style, the staircase is a major feature that can be more than a functional piece in your home.